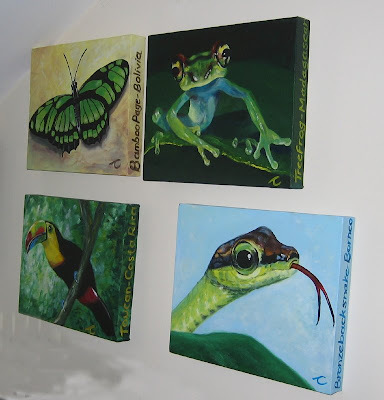 They didnt quite turn out how I planned, the idea was to do cutesy but authentic rainforest creatures suitable for a babys room but I just couldnt help myself doing them realistically. So I wont hold my breath waiting for Disney to call but I am quite pleased with them. Maybe the parents-to-be can put them away for 5 years or so. 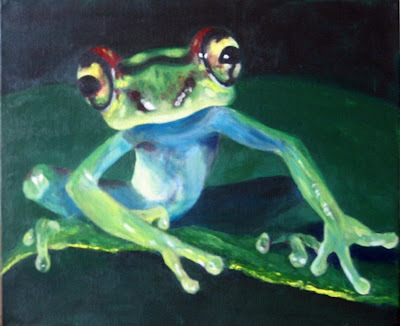 I love the frog ~ there is something quite cheeky going on in his expression. (If frogs even have facial expressions! 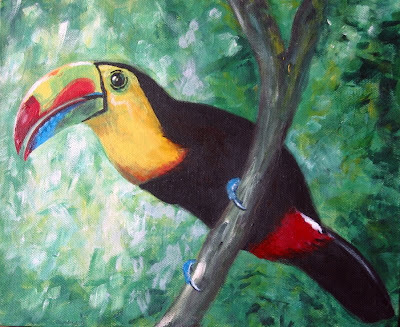 The toucan will brighten any space ~ all those beautiful colours couldn't fail. 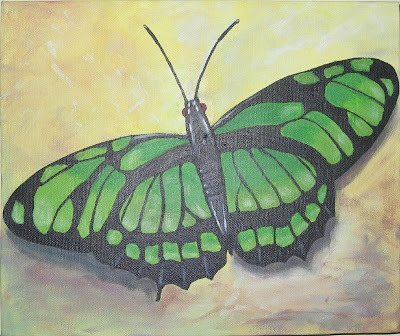 Not sure about the green butterfly though ~ I would probably have painted one with more exotic colours. (Of course I can't even paint so that's not going to happen!) 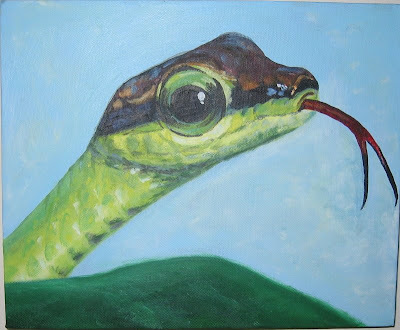 I really don't like snakes ~ they give me the creeps ~ sorry!